A high half forward with a great attitude to training. His brother, Sam, was once on St Kilda’s list, while he hails from the same Oakleigh Chargers team that once featured Jordan De Goey and Darcy Moore. 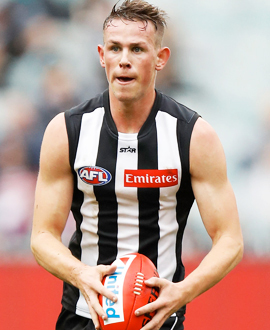 The Collingwood connection continues well beyond his Oakleigh days. He grew up as a passionate Magpie fan and lived next door to former captain Scott Burns while growing up. Crocker played 10 senior games during his first year on the senior list, ending it with three goals against Hawthorn in the final round.